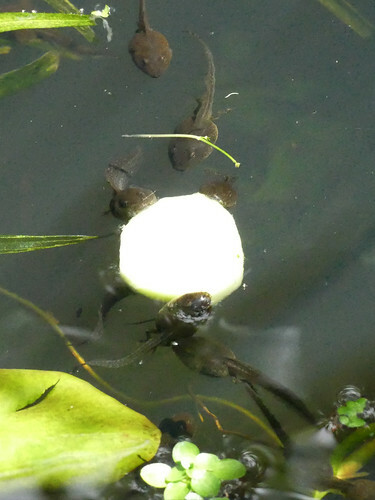 The tads are big enough now to be enjoying one of their favourite treats... cucumber slices. It's funny to watch them trying to eat while the slices slowly revolve around and around, the tads hanging on for dear life. 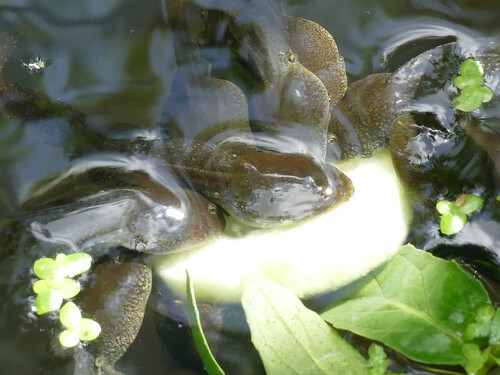 They seem to like eating the middle out first, and there will be rings of cucumber floating in the pond tomorrow morning. This phase will only last for several weeks... once they move onto being carnivores they'll lose interest and prefer cichlid wafers. 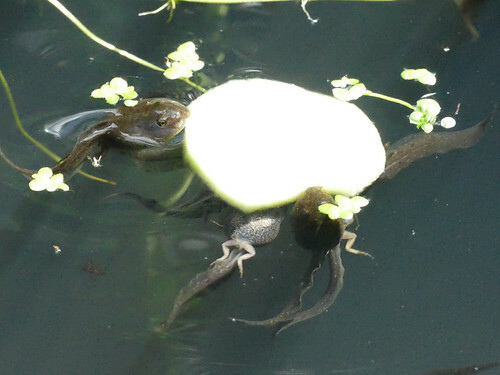 Never thought of putting veg in the pond for them. Good to see them developing legs.